In Case you haven’t been following the tech news closely, crypto currencies across the board have been hitting all time highs (and defying general investment guidelines). 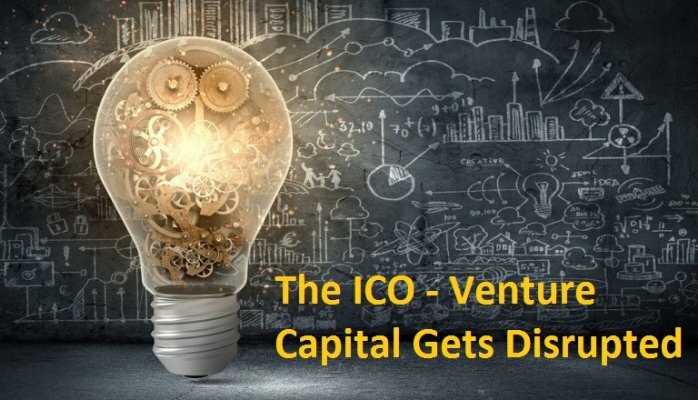 Mainly ICOs, which is the blockchain(y) way of seeking funding for a startup idea. An ICO at the simplest terms is right now an ethereum smart contract for a token, where all the the issuance parameters are defined there. This is probably what’s fueling the ethereum bubble - you need Ether to be able to invest money into these companies. I see Ethereum right now as the stock market on the blockchain. A more complex type of ICO, is to actually issue a separate coin complete with its own mining algorithm, proof of work/stake, etc. The latest ICO that does this is Tezos, which seems to be a competitor for ethereum. Theres little detail about this at the time of writing, however it looks interesting. How does it differ to traditional methods? The major difference between an ICO and getting traditional finance is probably that it exists on a blockchain only. Another difference is that because it’s on the blockchain - anyone can create a fundraiser campaign, while going to the traditional route you will be subject to more friction and sometimes “censorship” if the lender does not like what you’re trying to do. Much like the web (http protocol), how it changed the way publishing worked - the blockchain is slowly changing how finance is working. And last but not least, with blockchain technology you actually own (as in possess) the underlying asset (as long as you actually take it off the exchange). With shares/stocks, most of the time the exchange does say you own it - however the real possession of the asset is with the exchange. When you actually own the asset, you’re free to move it across to another exchange or even trade it privately without a middleman. International Remittance - Right now I can remit money into Asia (Thailand / Phillipines) from any western country better rates than the official exchange rates. If you’re Korean, you can actually make money on remittance right now (as long as most of your money is outside of Korea, and you don’t mind sending money back to Korea). Money flows across borders 24 / 7, within minutes. Crowdfunding campaigns - Normally, you’d have to start a crowdfunding campaign through kickstarter, indiegogo, or even seek money from angel investors. This is all subject to the lenders criteria who may or fund you. Also, some countries may not be open for crowdfunding (or may not be able to accept funds to or from certain countries). The blockchain ignores all this and opens it up to everyone. Want to stay up to date with ICOs? You should first install telegram if you haven’t already, and follow the account @ICOAlerts which announces ICOs and gives information on how to invest in them. Want to raise funding for your company/startup? I have some smart contract writing experience so I can help you issue a token. Please get in touch with me, and I’ll go through the steps.